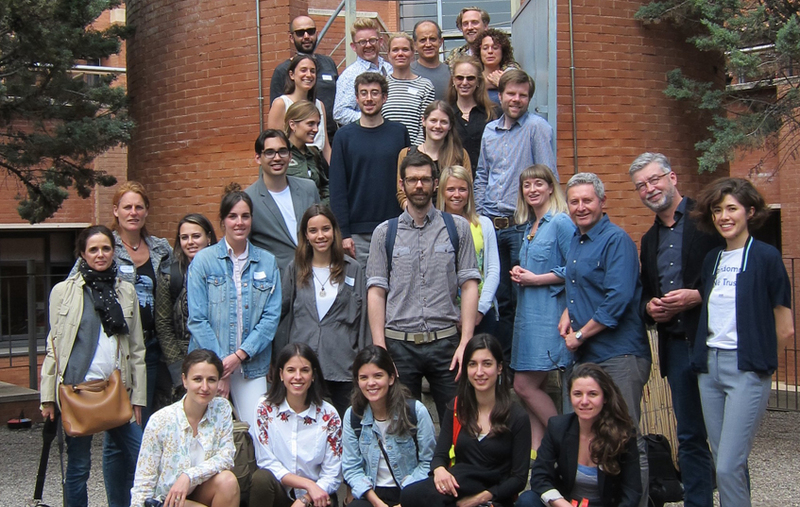 Universitat Politècnica de Catalunya (UPC), with the collaboration of Nutcreatives and BCD Barcelona Centre de Disseny as local partners, hosted the second Training Co-Creation Workshops (TCW) in Barcelona during the last week of April, from 23rd to 27th. The training activities were developed in a fully sustainable local public digital fabrication space, Ateneu de Fabricació de La Fàbrica del Sol, and in the Edifici Vèrtex, the university professional training space of UPC. Members of Circular Design project co-created several modules of Professional Development Courses, such as Circular Economy, Circular Design, Systems Perspective, Assessment & Evaluation, developed respectively by the academic partners, Universitat Politècnica de Catalunya (Catalonia), University of Limerick (Ireland), NHL (Netherlands), Linköping University (Sweden). The modules were later presented to public entities, such as Agència de Residus de Catalunya, and local small and medium enterprises representatives of different kinds of industries, e.g. Zicla, Doga, Cafes Novell, Repairably, Inèdit, Everis, CETaqua, Francesca Piñol. The success of the workshops is expressed in active participation of industry staff. TCW are aimed at developing and improving training materials in order to teach and train enterprise staff of the design sector on Innovative Design for Sustainability.